Golf requires a certain decorum and that includes wearing the right clothes. While women don’t wear long skirts and blouses on the links anymore, it’s a good idea to treat the fairway as a sort of runway to show off your personality and golf style. 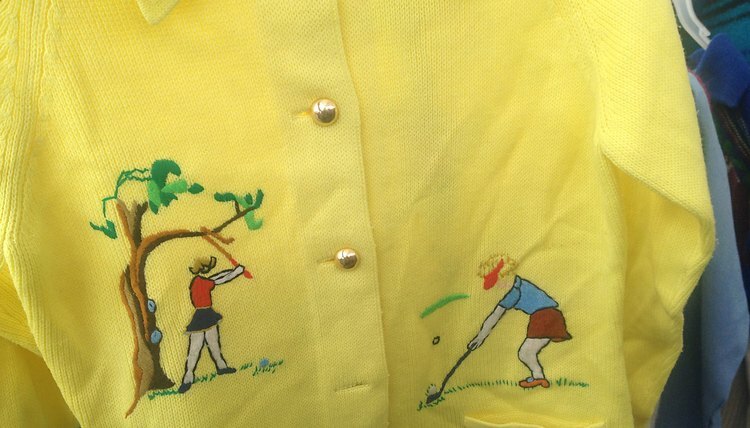 In the early 1890s, the women’s golf “uniform” consisted of long, flowy skirts and tight-fitting blouses, according to Fuzzylizzie Vintage Clothing. This ensemble didn’t allow for much freedom of movement. Since the country club was a place to meet young men, women dressed to the nines, which wasn't conducive to playing nine. 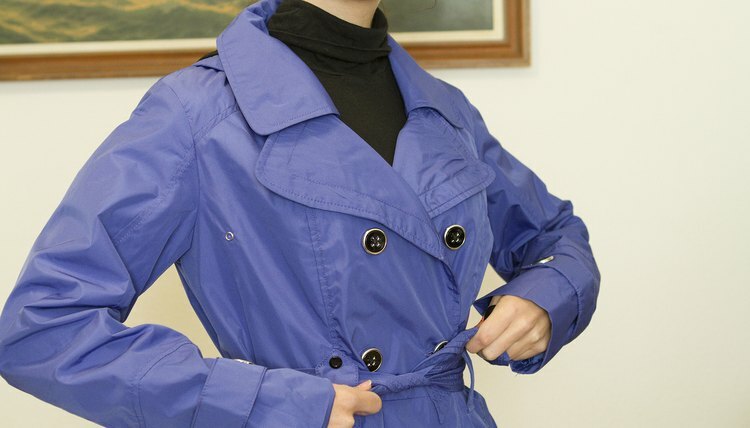 Eventually, jackets and sweaters came into fashion. Golf dresses entered the scene in the 1920s, and proved to be popular. 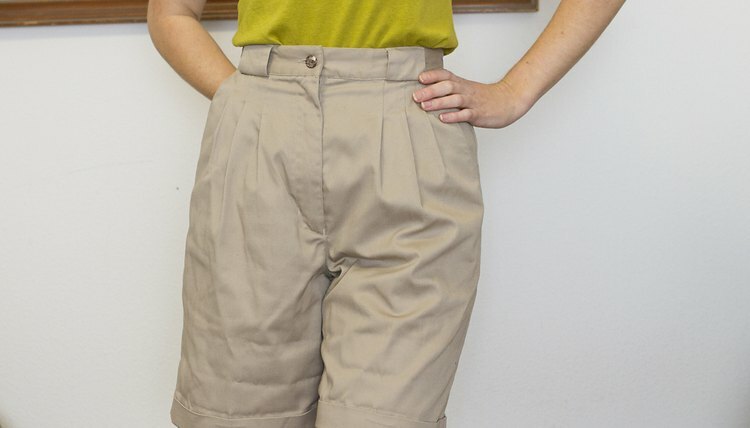 In the early 1960s, women could actually wear Bermuda shorts and sleeveless blouses. The skort--a combination of skirt and shorts--came into vogue in the early 1970s. Golf clothing manufacturers produce skorts, shorts of varying lengths, capris, long pants, tops (including sleeveless) and vests for the links. Even mainstream companies make clothes suitable for golf. These often look dressier than your everyday wardrobe. Country clubs and private courses will likely have dress codes, which may include collared shirts for women, so check with the course before you go. These courses will turn you away if you're not dressed according to the code. Jean shorts, jeans, Daisy Dukes, T-shirts, clothing with vulgar sayings, belly-baring shirts and raggedy clothes are no-nos on the golf course. Public courses may not have strict clothing requirements, but it’s still good form to wear proper golf apparel. Women’s golf shoes come in almost every color imaginable. Some LPGA Tour pros have shoes to match every outfit. While you won’t need a closet full of shoes, a nice pair of golf shoes with soft spikes will aid your game. 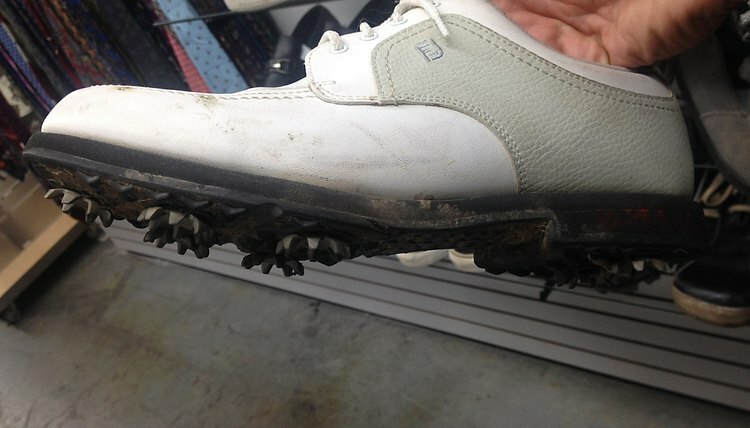 Some manufacturers also produce golf sandals with spikes. Tennis shoes also will do the trick, but they are not ideal because they lack traction. Hats, caps, visors and even winter hats should be part of your arsenal. You can match these items to your outfits because they all come in a variety of colors. 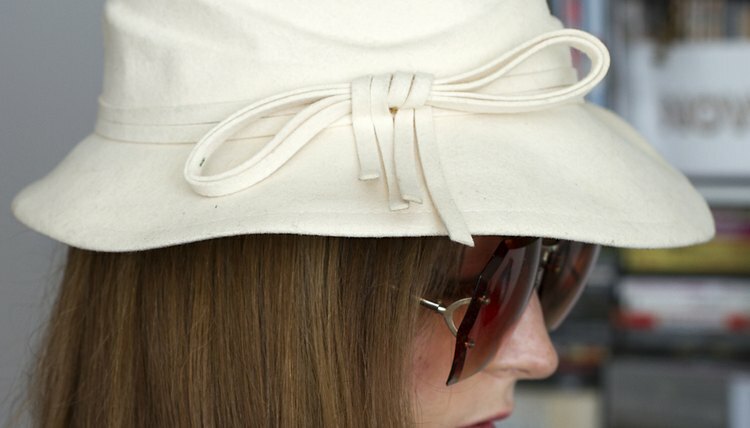 Not only stylish, this headgear provides protection from the sun’s rays or the cold. Sunglasses protect your eyes from harmful rays. When the elements turn nasty, it’s a good idea to have rain jackets and pants, windshirts and turtlenecks in your wardrobe.